Gulf Coast Wesley – Love God. Serve People. Change The World. Love God. Serve People. Change The World. Gulf Coast Wesley hosts a weekly worship service every Monday night at 7:00. Our gathering features some structured fellowship time with FREE food, and an intimate acoustic worship style that creates a casual and sacred space in which you can draw close to God. Gulf Coast Wesley is constantly offering opportunities to get involved in community service projects. Check on our facebook page for recent opportunities or contact Pastor Christy or one of our staff people. Wesley is also passionate about missions both local and abroad. Learn about our previous missions trips or get involved in the next one! Gulf Coast Wesley invites students to begin and to deepen their relationship with Christ. Wesley Foundation provides authentic worship, small group experiences, and one on one discipleship opportunities. Wesley also links students on campus with spiritual and professional mentors from local churches. Gulf Coast Wesley deeply owns the value of Christian hospitality, welcoming students from a wide range of backgrounds and life experiences, and intentionally seeking chances to enter into the life experiences of others. Wesley Foundation students are regularly involved in service learning opportunities both on campus and in the community. Wesley connects local churches and students, as we partner in mission opportunities. Gulf Coast Wesley Foundation is empowering young adults to be fearless in pursuing their calling to bring the Kingdom of God to Earth. 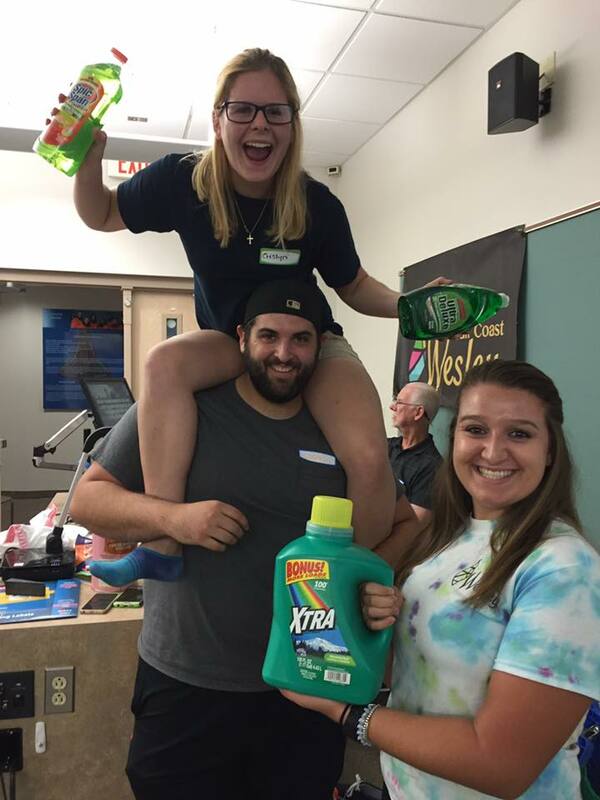 Wesley Foundation is leading the way for college students from all over Florida to experience international mission. Our goal is for students to build long term relationships with young adults in other contexts – believing that relationships are the key to creating lasting solutions that will alleviate suffering in our world. You can contact us by contacting our pastor, Reverend Christy Holden, directly at revholden@gmail.com or her cell number (727) 215-6760. Alternatively, you can fill out the contact form below. The ministry of Gulf Coast Wesley Foundation seeks to reach out to the 15,000 student campus at Florida Gulf Coast University. The support of people like you is the only way we are able to maintain a presence on campus. We invite you to share in the vision of the ministry by becoming a financial supporter of this ministry. We also welcome your prayers, and your passions to this campus ministry and other ways that you might have to offer your gifts.